Our client is a fast growing highly profitable multinational biopharmaceutical company with an exciting pipeline of drug compounds at an advanced stage in research. Based in Dublin, the External Manufacturing Executive Director will provide scientific and technical leadership and oversight for projects & products from late stage phase 3 development through launch and the ongoing commercial manufacturing life-cycle. Activities will cover drug substance (small and large molecule), drug product and device and will include both process and capacity related improvement. The role will involve significant cross functional collaboration with other functions including Development, Manufacturing, Quality, Regulatory & Supply Chain working towards agile new product introduction and ensuring that all processes are understood, robust, efficient and in control. The role is both project and operations orientated. Develop and champion an organizational culture that promotes behaviours that lead to superior business performance and organizational excellence. Ensures that the company’s technical external manufacturing function meets or exceeds customer’s expectations. Lead the technical and strategic relationship with all external manufacturing CMO’s in partnership with Supply Chain on the day-to-day operational planning and execution activities. Provide leadership, support and team-members to high-performing cross-functional product teams. Ensure that all processes operate in line with health, safety, environmental and quality requirements including all regulations, policies, applicable guidelines and procedures. Plan, execute and report on all development projects and technology transfers both internally and with external vendors in support of process improvement and new product introductions. Develop and maintain productive, effective relationships with third party manufacturers. Ensure the clear and effective communication of ideas and results to technical and non-technical audiences. Responsible for production of technical reports supporting CMC aspects of regulatory dossiers. Accountable for the timely delivery and reporting of multiple process development projects. Responsible for the de-bottlenecking processes to ensure all processes support and achieve pre-determined efficiency levels. Continuous development of knowledge regarding new pharmaceutical manufacturing processes as required in line with business objectives. Implement and monitor improvement initiatives in line with continuous improvement philosophy. To role model the company’s core values and ensures that the organisational culture develops in support of them. 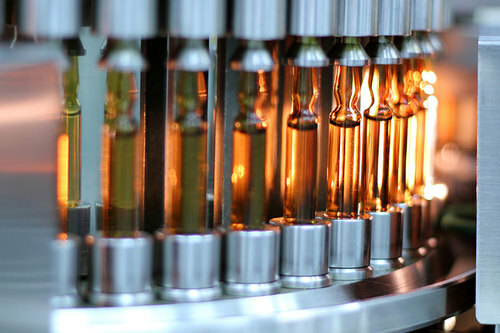 Broad and significant experience in pharmaceutical development and manufacturing with a strong background in both small and large molecule technologies. Exposure to multiple drug delivery technologies and dosage forms. Demonstrated technical expertise in process development and new product introduction. Experience in defending processes, procedures and investigations during FDA/EMA inspections desirable. Experience of CMC regulatory requirements for pharmaceutical products and in particular the evolving opportunities by application of QbD principles. Track record of success in cross functional teams. Ability to deliver objectives on time in pressurized, fast paced environments, whilst also meeting all compliance, quality and cost targets. Ability to initiate and drive through change programs. Demonstrated capability in establishing collaborative working relationships at all levels, regardless of seniority. Leading by example to support culture of collaboration, participation and knowledge development among the team. Ability to inspire and promote a culture of change, innovation and self- improvement to all levels within the organisation.